I always know the cold weather has arrived when my skin becomes more susceptible to injury. As many of us know, having an ileoanal pouch means losing out on some of the fluid absorption the large bowel or colon would normally perform. That means being prone to dehydration – and part of that condition is dry skin. For me, part of living without a colon means managing my skin. Cold and wet can make skin less elastic, and that has two impacts. First, it can split – leaving painful cracks which, sometimes do and sometimes don’t, result in minor bleeding; either way it hurts. Second, it leaves the hands more susceptible to damage, and this is the problem I really have to watch out for. Avoiding cracking isn’t rocket science, but does require some attention. It’s quite common for women to carry moisturising hand cream, but not many men carry a handbag! Of course, there are relatively discreet ways to carry hand cream – in the car, in a work-bag, at your work desk and at home – and these cover most eventualities. In my experience women are also more than happy to share their hand cream with a man brave enough to ask! Avoiding skin damage takes more thought. For me gardening, DIY, water sports and mountaineering, each come with potential risks to the skin, and particularly the hands. Gloves are a really good way to manage these risks, and there are loads of different types available these days. For gardening and DIY leather gloves are well worth using. I recently took some skin off one of my knuckles trying to remove some wire mesh; it could have happened to anyone, but I suspect the injury was worse for me as my skin is less elastic than many people’s. For water sports I wear neoprene (wetsuit material) gloves summer and winter, which cost around £5 and absorb all the abrasion. For mountaineering I often wear waterproof gloves and socks to reduce blisters and the effects of rubbing, and preventing the skin becoming saturated for prolonged periods. There are now a lot of waterproof gloves and some socks available for running, cycling, walking and other sports. If you can find them though, it’s well worth getting gloves which are smartphone compatible, especially in winter. The body is of course extremely good at repairing itself. But constant wetness can hinder that process and result in unnecessary bleeding. With a pouch, going to the loo, and washing hands, are more frequent. So how do we keep hand injuries dry? I have tried most varieties of plasters. Many are useless when wet. Even those that are waterproof are little use on moving parts (such as knuckles and other joints); inevitably they don’t stay on (or stay waterproof) for very long. Something I use a lot is Germolene New Skin. Applied instead of a plaster on minor skin wounds, it’s basically like pasting UHU glue onto the injured part using a small spatula contained in the lid. Within a few minutes it has set, and a glue-like layer protects the skin from water (and infection). It can sting a bit, but it’s well worth it, as you can wash hands and have a shower without the inconvenience or discomfort associated with plasters or no covering. It’s my favourite plaster! I have even started using it for prevention on my feet, instead of taping them with micropore tape. This article was first pucblished in Roar Issue 56 – Christmas 2018. Or why not become a member. You can start the registration process below! Everything you wanted to know about your internal pouch….  Are you aware of the wealth of information available on the Red Lion Group website about Pouch history and living with a Pouch? Over the years, we have posted personal stories from pouch owners and video recordings from the experts and pioneers in pouch surgery from St. Mark’s Hospital and academic institute. You can find this information on our Stories page. Or look at the Resources page and browse recordings of Information Days presentations. Pouch emptying and Biofeedback by Ellie Bradshaw – Lead Nurse, Biofeedback Dept. So, whether you have a j-pouch, s-pouch, w-pouch or considering pouch surgery, why not attend this year’s Information day and hear expert advice first hand on pouch related topics and meet other pouch owners and pre-pouch patients. This year we will be commemorating the 25th anniversary of the Red Lion group. I remember well my time in St Mark’s Hospital in City Road. I was very ill with a severe case of ulcerative colitis that had not responded to medication. I was admitted to the very old and rather shabby St Mark’s in London’s City Road in a very weak state to be treated with intravenous steroids and methotrexate. After some weeks I was advised to have surgery and offered a pouch operation by my surgeon Mr Peter Hawley. I was warned of all the possible complications but I was so ill that I didn’t take any time to decide on surgery as soon as possible. All went well and, by day two, I was feeling so much better but very weak. Over the next two years I was readmitted to St Mark’s on numerous occasions because of obstructions due to adhesions requiring a number of major surgeries to combat the problem. This all happened over 30 years ago and now seems just like a bad dream. Twenty-five years ago I was contacted by the St Mark’s stoma nurse specialist Celia Myers to see if I was interested in discussing ways in which we could help pouch patients and those considering pouch surgery. The group met in the then new St Mark’s Hospital in Watford Road, Harrow. Celia’s name should go down in history as she was the inspiration that caused the group to come into existence. Tim Rogers, Roar’s designer, was there too. The names of the other founder-members are recorded elsewhere. We were told that we needed a chairman to run the meetings and perform certain tasks and duties. No one seemed keen to take on this job so I volunteered. I was chairman of a number of charity groups and medical conference organisers so I thought that one more job could be fitted in somehow. We decided to call the new charity The Red Lion Group and chose the cute little lion as our logo as we felt that it was non-threatening to new members. After about two years the group had an established membership, a newsletter run by the same team as it is now, and we were a registered charity. At this point I felt that it was time for me to pass on the chair to new blood. I have always maintained an interest in the group and receive Roar! regularly. I believe the group does a wonderful job because I have always maintained that no matter how experienced a pouch nurse or consultant may be only someone with a pouch can really understand what it feels like to have a pouch with all its peculiarities of sound and motion! I know that when I was faced with the choice I would have loved to have someone to talk to who had been there, done it and got the T-shirt. I am very lucky to have a pouch which behaves itself almost all the time. I have lived in Spain permanently for 20 years now and can eat anything and what’s more do. I have been admitted to hospital once here for an obstruction and was delighted to find that the surgeon in charge had been trained at St Mark’s by Peter Hawley and knew all about pouches. I am looking forward with great anticipation to the April 2019 Information Day and the 25thanniversary of The Red Lion Group. I hope to see lots of you there and swap pouch stories. Would you like to help run the Red Lion Group by joining the committee? We’re a friendly bunch of people and, naturally, have a common cause – to listen to, advise and help those of us who have ileoanal pouches. We also help organise events such as annual Information Days and raise money for gastro research projects. The committee member we are looking for would look after the smooth running of the finances and make sure the books are balanced at the end of the year. As treasurer, you would also be involved in four teleconference calls and a face-to-face meeting every year. If you’ve a few hours to spare and would like to help your fellow pouchees or else know someone who does please contact David Davies, the chairman, at dbd60@hotmail.com or Peter White, the acting treasurer, at p_terwhite@yahoo.co.uk. 2019 is the SILVER JUBILEE of the Red Lion Group; providing advice and guidance for pouch patients, their friends and family for a quarter of a century. The Information Day on 27 April 2019 will celebrate the Silver Jubilee with an address by Dr Martin Peters, who was the first RLG Chairman way back in 1994. Martin will be reflecting on RLG then and now and on his own reflections about living with a pouch for the last 25 years. Book your place by clicking the button below.